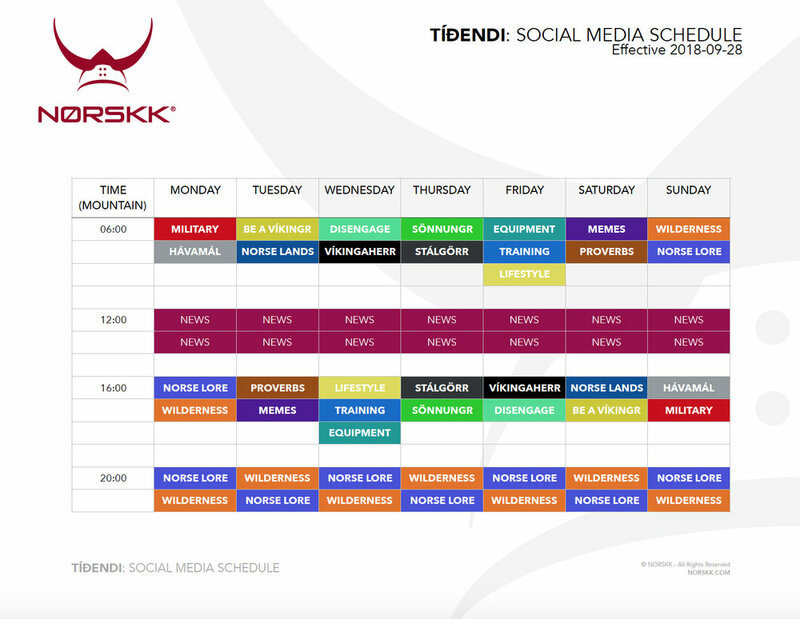 As part of our planned withdrawal from social media, we have now implemented a new schedules for posting on public social media. We will now reduce posts to 4 times a day, at 0600, 1600, as well as 2000 for regular materials, and 1200 for news, Mountain Time. Only twice a day for Instagram. Posts' content has also been modified to alter followers' online behavior. Namely to reduce their level of stress, while still keeping them informed about aggravating matters, and to encourage actual real life activities, and thus, ease withdrawal from social media. A schedule has also been provided so people know what type of post to expect and can decide on their involvement as applicable.